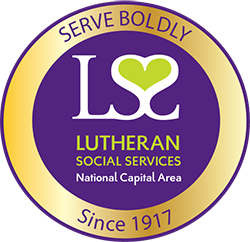 Since 1917, Lutheran Social Services of the National Capital Area has served boldly, offering hope and a helping hand where it is needed most. Today, your support offers love to those in need, creating new families through adoption and foster care. Your advocacy engages our community to welcome and resettle displaced refugees. Your compassion embraces those whose present circumstances make them feel unwanted and marginalized by society , providing wellness and health education..
We extend love to children in need, creating families in the process through adoption and foster care for unaccompanied refugee youth. These connections strengthen families, save lives and change futures. After living in a broken home, Kimora was afraid to love. But because she believes in hope and a better future, she is a fighter. We embrace those who may feel marginalized for any reason – including those stigmatized by HIV/AIDS, substance abuse, or mental illness – by offering education, care navigation, and peer connections. Donovan and his family are not another statistic or a box on a form, they are bold and courageous. We welcome the millions of displaced families and children who seek refuge from war, poverty and persecution. 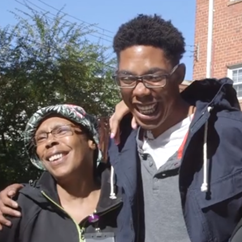 Through advocacy, employment services, and mentoring, our community rebuilds lives and offers security. Living happily before the war began, Ibrahim's life changed when he was forced to flee Baghdad with his children and wife seeking a new beginning.